This Veterans Day, many of my fellow Americans are worried about their vulnerability after a hate-filled national campaign. Or, rather, not worried but justifiably anticipating attacks, if not having witnessed/experienced them directly. 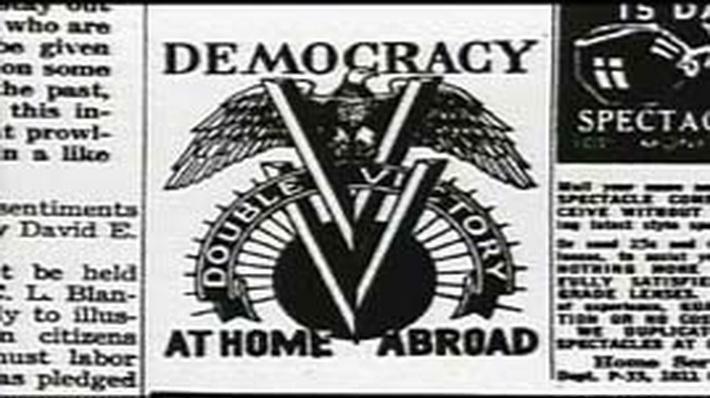 So today, I’m remembering the Double-V campaign in World War II, pushed by the Pittsburgh Courier, as Black soldiers, veterans, and their families committed to make sure that they fought for citizenship at home at the same time that they committed to fight against dictatorship abroad.